SIHANOUKVILLE, Cambodia, Feb. 23 (Xinhua) -- Cambodian and Chinese developers Saturday laid the foundation stone of the Sihanoukville Special Economic Zone (SSEZ), which has been the largest one of its kind so far in Cambodia. Addressing the ceremony on the construction site, Cambodian Prime Minister Hun Sen said "This special economic zone is currently the biggest one in the kingdom with the investment from China (and Cambodia), which again testifies the close economic and political ties between Cambodia and China and those between the top leaders of both countries." This cooperation took place in 2008, the 50th anniversary of the establishment of the diplomatic ties between Cambodia and China and we expected it to help attract more Chinese companies to invest here, he said. China used to export over 400 items of goods to Cambodia, but up to now Cambodia did not have the capacity to export the same amount of goods, so Cambodia needed investment from China, he added. 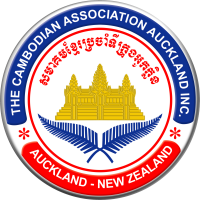 The premier said that the goods produced in this special economic zone could be exported to foreign markets duty free, but the companies should pay import tax if their goods were sold in Cambodia. Delegates from the Chinese side also addressed the ceremony, which attracted more than 100 senior government officials to attend. Also at the ceremony, six Chinese companies signed contracts with the developers of SSEZ to establish their branches here. SSEZ will escalate into 11.08 square km in eight years with an estimated investment of 3 billion U.S. dollars, according to a press release from the zone's developers -- the Jiangsu Taihu Cambodia International Economic Cooperation Investment Co. Ltd. and the Cambodia International Investment Group Co. Ltd. In 2011 when the second phase construction is done, 150 companies can be situated here and 40,000 job opportunities provided, it said. In 2015 when the whole construction is finished, the zone will embrace some 300 companies, provide around 80,000 job opportunities and generate export volumes of 2 billion U.S. dollars a year, it added.